This is Merlin's Lost Years by T. A. Barron. A young boy washes ashore and unconscious. As he comes to, he has no clue as to where he is or who he is. As he tries to figure out who and where he is, he realizes he doesn't remember anything or even how he got where he is. He's washed ashore to a mysterious place. The place is enchanted and very unusual. This novel is full of magic, adventure and is full of some wonderful details. T. A. Barron has done a well written job on the details within. They are vivid and bring the book to life with lots of imagination. Mr. Barron has a way to pull you into Merlin's world and letting you experience what Merlin's life was like during the lost years of his life. You can't help but be drawn into the world that Mr. Barron is bringing to life in the writings of Merlin's Lost Years. This is the book where it all begins, where the tales of who Merlin was and is to become the wizard we have all heard so many tales of. 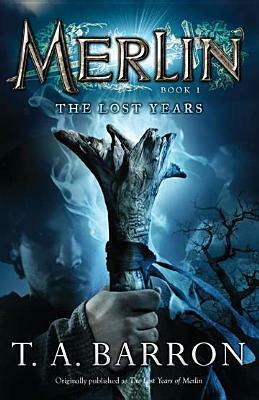 Check out Merlin's Lost Years on Goodreads to find out where you can get this book and many others by Mr. T. A. Barron!